E) Black or blue ink only.If a document does not conform to these requirements, counties in Ohio must still accept same for recording, however, additional recording fees of $20/document will be due. Exempt from the Statute: (i) any document from any court or taxing authority; (ii) Plats; (iii) Military Service Form DD214; (iv) any state or federal document; and (v) any document executed before July 1, 2009. Effective April 2, 2012, any checks for recording fees for documents to be recorded in Cuyahoga County must be made out to: “Cuyahoga County Fiscal Officer”. Checks made out to “Cuyahoga County Recorder” (after April 1, 2012) will no longer be accepted. (Cuyahoga County residents and others may recall that the position of “Cuyahoga County Recorder” no longer exists-the previous functions of said office are now within the office of the Cuyahoga County Fiscal Officer). There are still many recording procedure differences among Ohio counties. Accordingly, it is advised to contact the applicable County prior to filing documents for recording there. 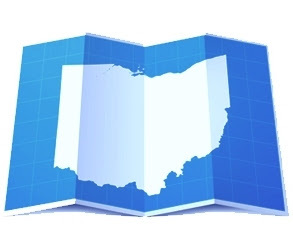 To find a particular County’s website, log on to www.OhioRecorders.com . Re letter "E", in this post spotlighting nonconforming documents, please note ORC 317.114 was further amended on December 28, 2009. Section B(2) now states that certain nonconforming documents are no longer subject to the additional $20 recording fees. Among others, these include signatures, initials, and notary stamps/seals.